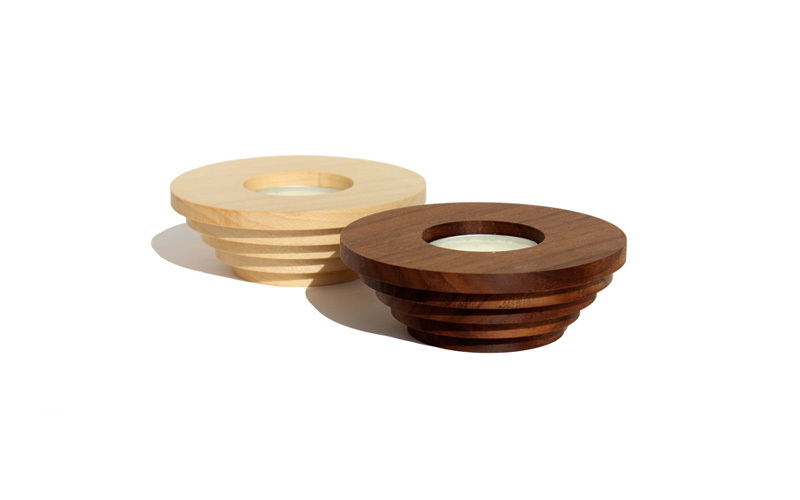 This is a cornical candle holder with 5 wooden rings in graduated sizes. 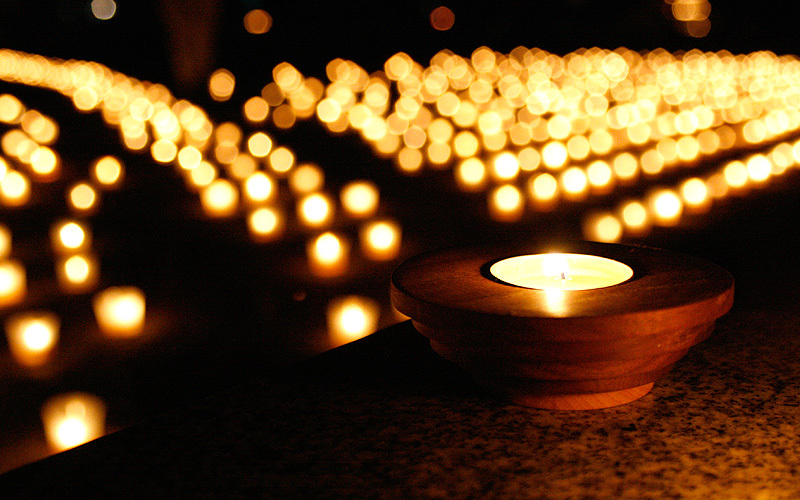 By stacking them, you can rearrange it in the shape of a saucer or in the way you wish. 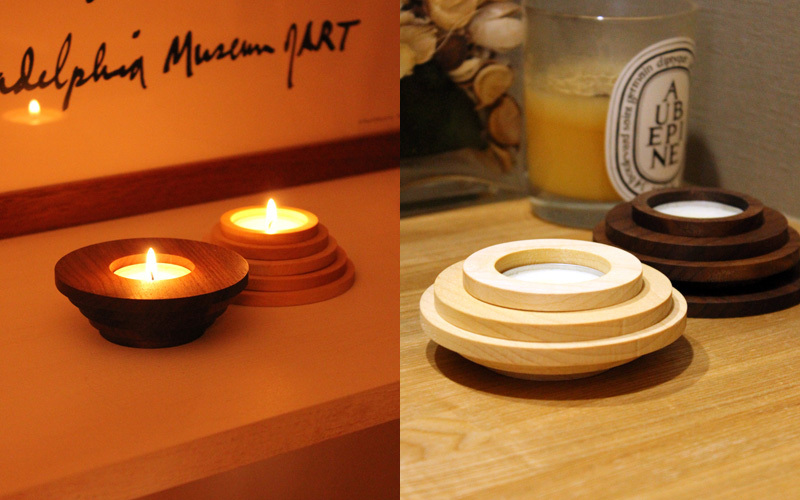 Illuminated by warm glow of candle light, these rings with comforting fexture and wood grain romantically throws its soft shadow.